Does anyone know where the other end of the hose that is connected to the fiberglass shroud goes? The best I can tell from my pictures is the connection pictured (off the CIS box). I’ve spent the day replacing hoses and trying to retrace my steps . . . Any help would be greatly appreciated! You're going to have to be more specific, I can't tell which hose you are talking about. On my SC there is no hose going from the fiberglass shroud. Is it the one underneath the #1 cylinder intake runner? 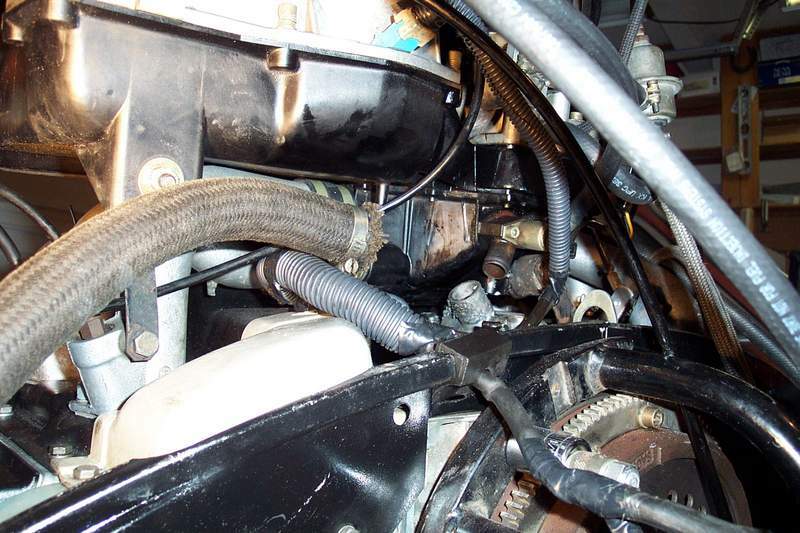 If your talking about the large hose that goes from the crankcase vent, it goes to the oil tank. Any chance you can add an arrow to the hose you are wondering about? Thanks for the response. I've managed to wrap myself around the axel on this one. Below are pictures with circles around the areas that I think should be connected. I'm not sure but I think the line from the shroud sends air to the charcoal vapor recovery doda in the front of the car. There should be 2 lines about that size that come from the firewall area of the car. I think the other line goes to the air box somewhere (maybe the fitting you've shown). The idea is that air will flow from the shroud to the charcoal canister, pick up fuel vapor and then send the air with the fuel vapor back to the air box to be ingested by the engine. 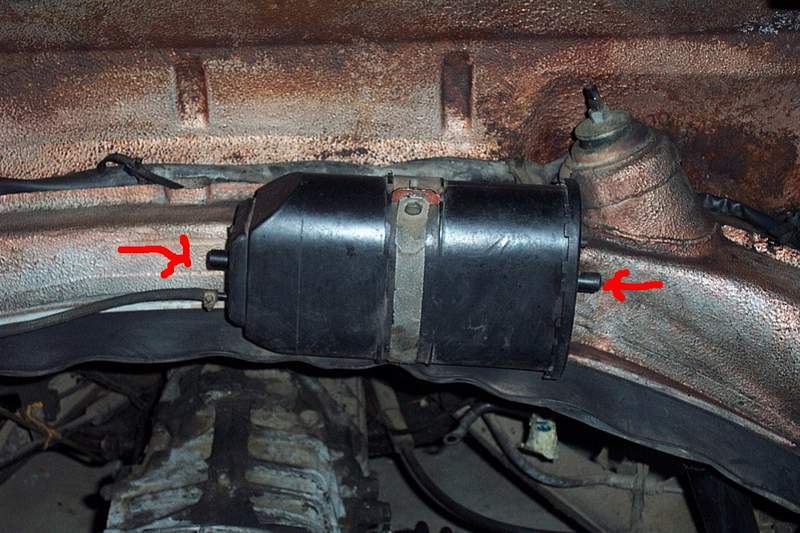 There is also a place where a breather line from the oil tank hooks up to the air box for essentially the same purpose. on my '78 SC there is a hole in the exact same place. There were not any hoses near it, nor anyplace that needed a hose. I see yours has some kind of fitting there. I was wondering what went there. It was kind of hard to beleave there would be a hole there for no purpose. Thanks for the pointers. Just to be clear, I’ve taken a picture of the charcoal canister. 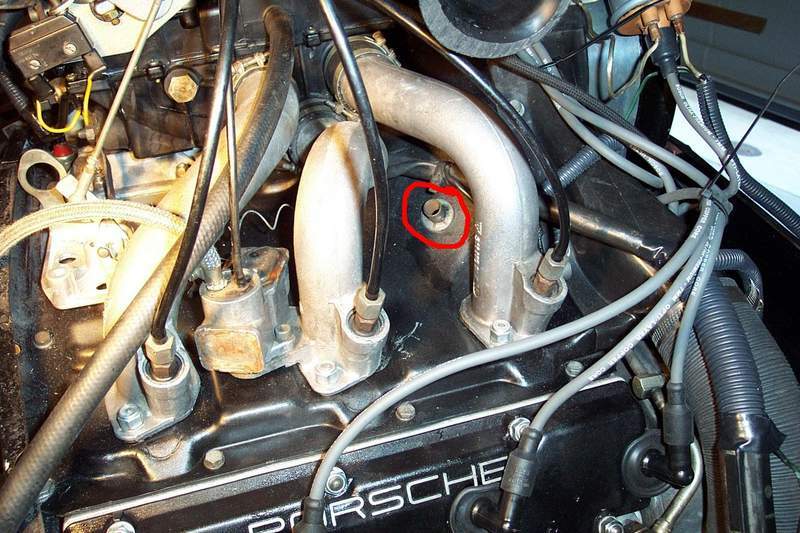 There are two hose connections, about the size of the one from the engine shroud. One of the large connections goes to the engine shroud and one from the air filter housing, correct? By the way, the mystery connection (picture next to the breather cover) is blocked. My neighbor came over and stuck his finger in it. Turns out, that it's sealed-off. I guess it must be used for an option that my car doesn't have. I wouldn't bother hooking up the charcoal canister unless you have to pass a smog inspection.